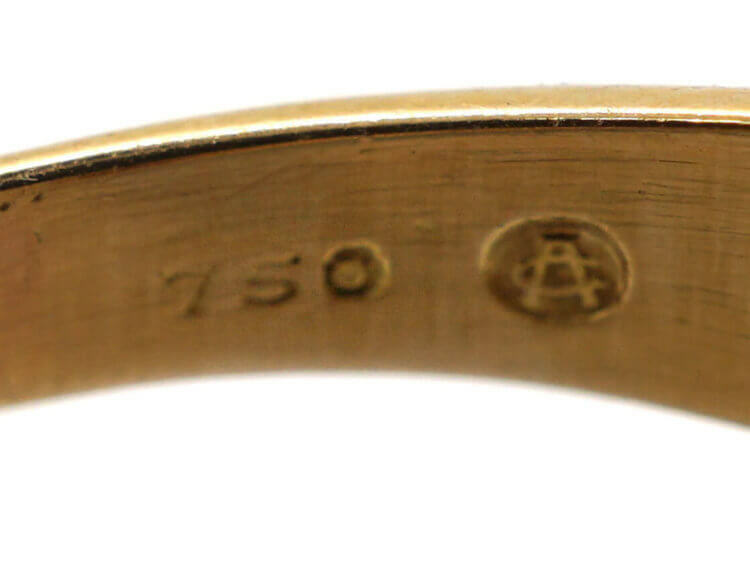 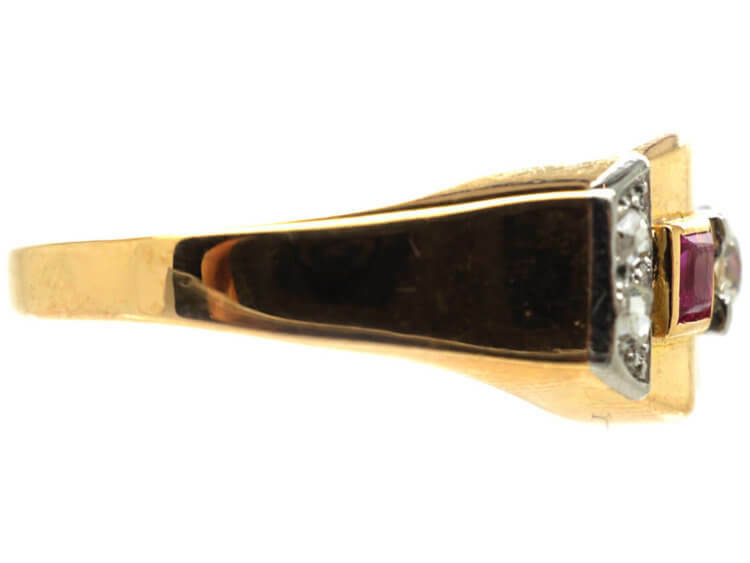 An interesting 18ct gold ring that was made in the 1930s. 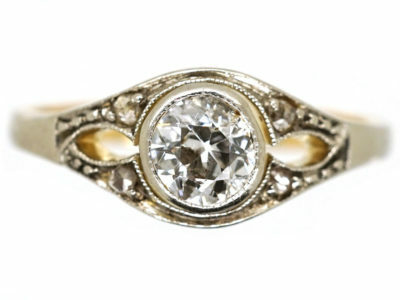 It could possibly be German as similar designs originated there. 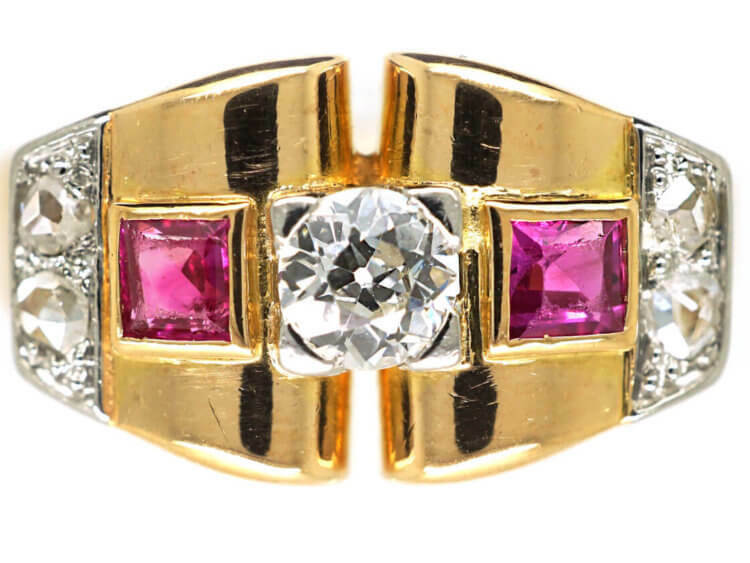 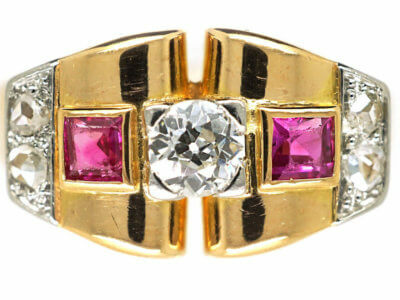 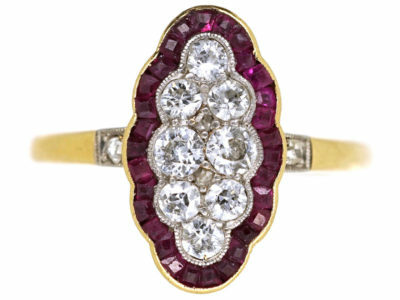 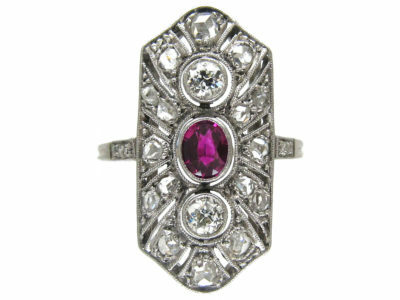 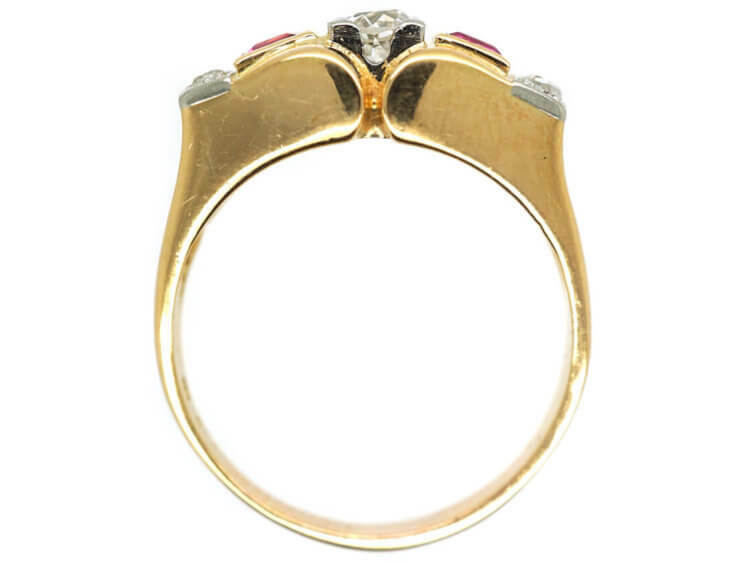 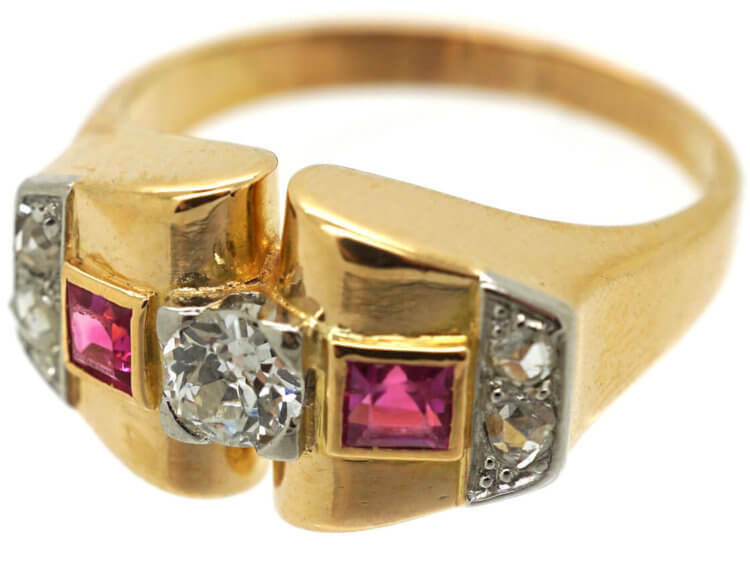 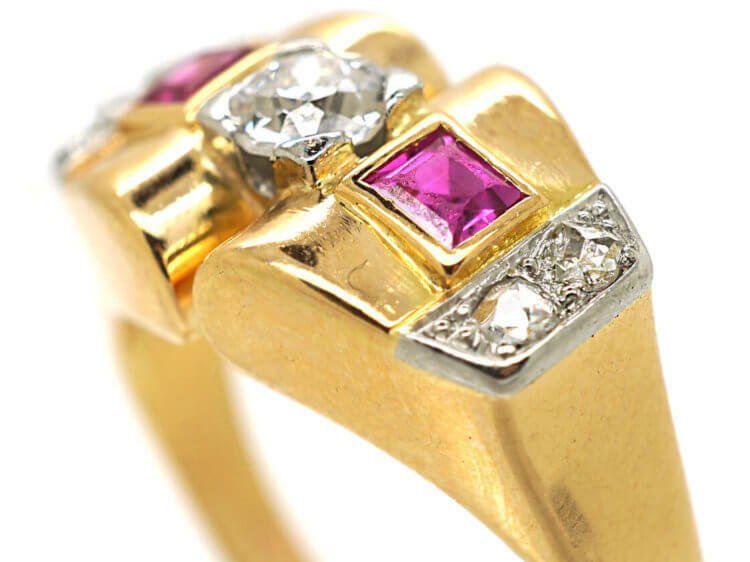 It has been set with a central 35 point diamond with a square cut ruby on either side and small rose diamonds on either edge. 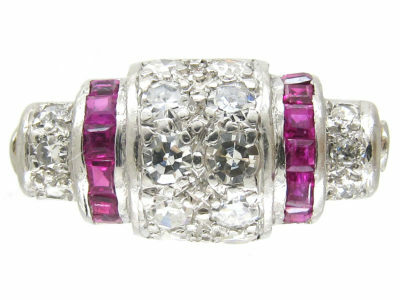 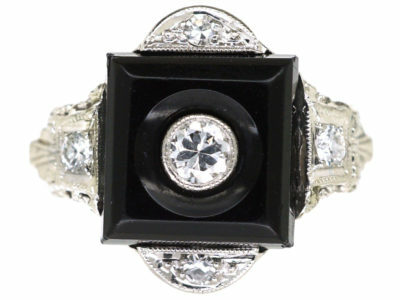 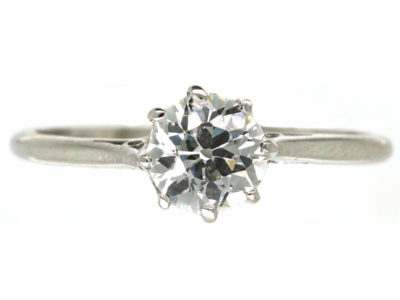 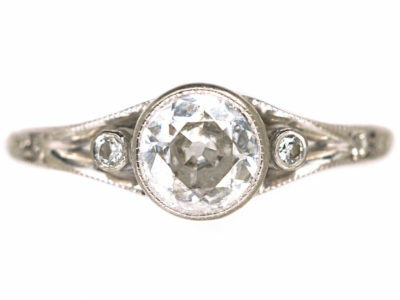 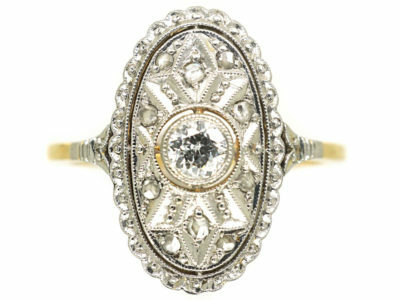 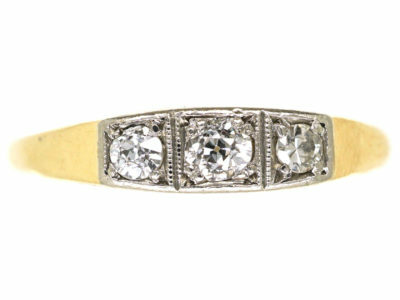 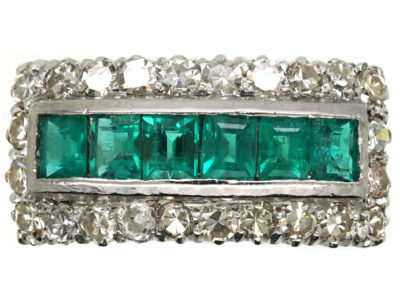 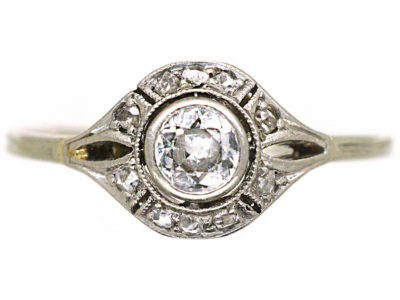 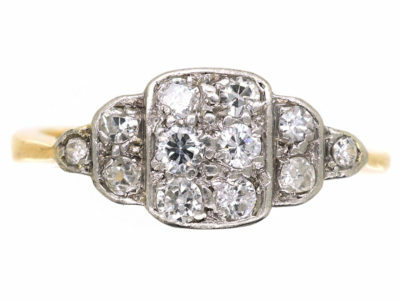 It is stylish and fun to wear as an engagement or a dress ring.